Strawberry & Crème Pie is another item I tried on the way to Montreal last Sunday besides Jalapeño Double. On the menu board, it says it's available for a limited time only. I thought it's 99 cents, but it was actually 2 for 0.99 dollar, so it's shockingly cheap. On the front, it says "Delicious and baked to golden perfection, with indulgent flavors made with the finest ingredients." 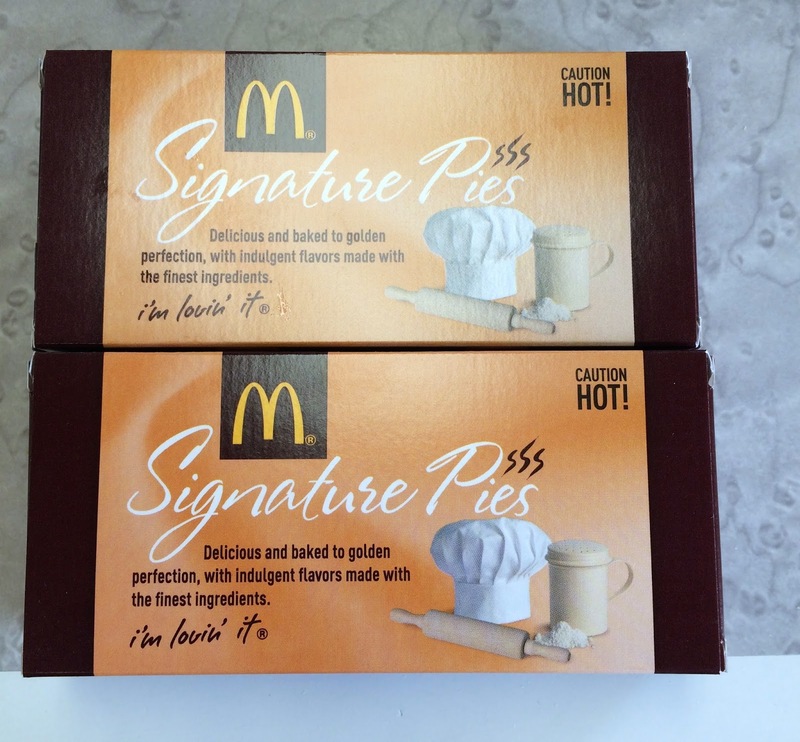 On the back, it only said "Signature Pies" like the front with the same font. 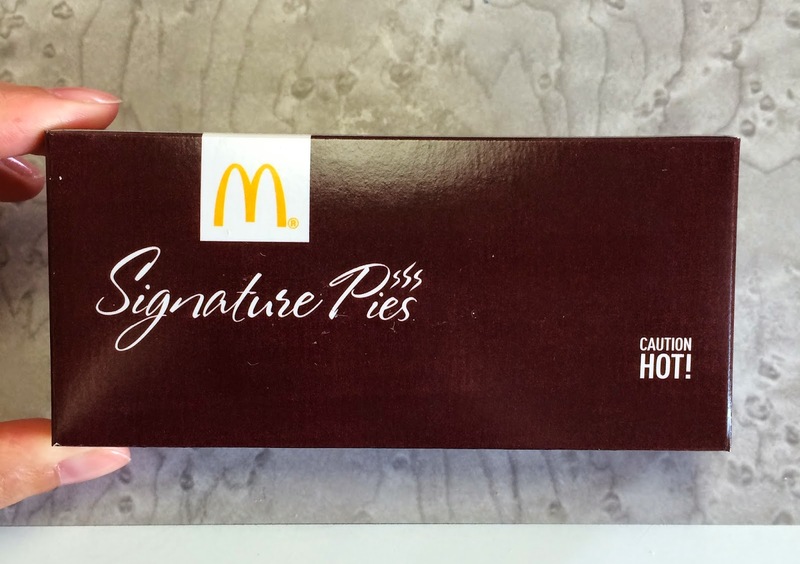 The pie was as large as the box. When I heard "pie," I thought it'd be like McDonald's Apple Pie, but the dough wan't pie dough but it's more like a tart. From the side, the center was the tallest and towards the both sides, they're forming a loose arch. 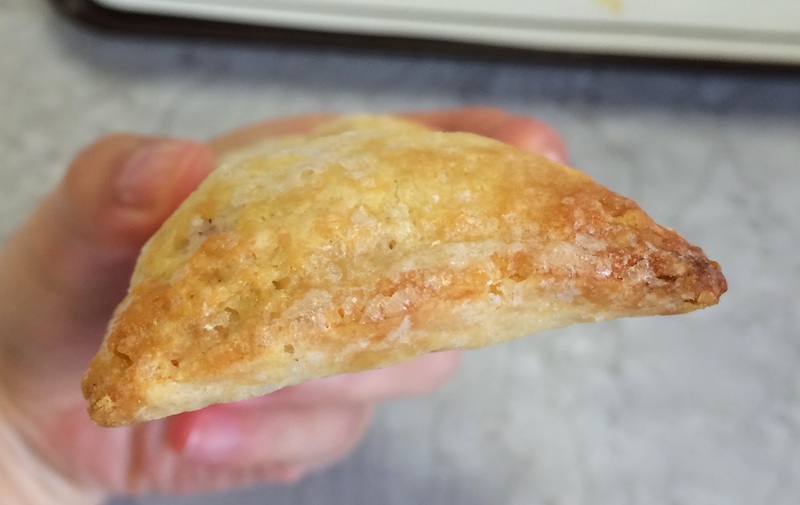 The dough was buttery but not greasy like fries, the surface was crispy and actually it's perfectly gold, not burned or not too pale. Inside, there're 2 rows and each contained strawberry filling and cream cheese filling separately. 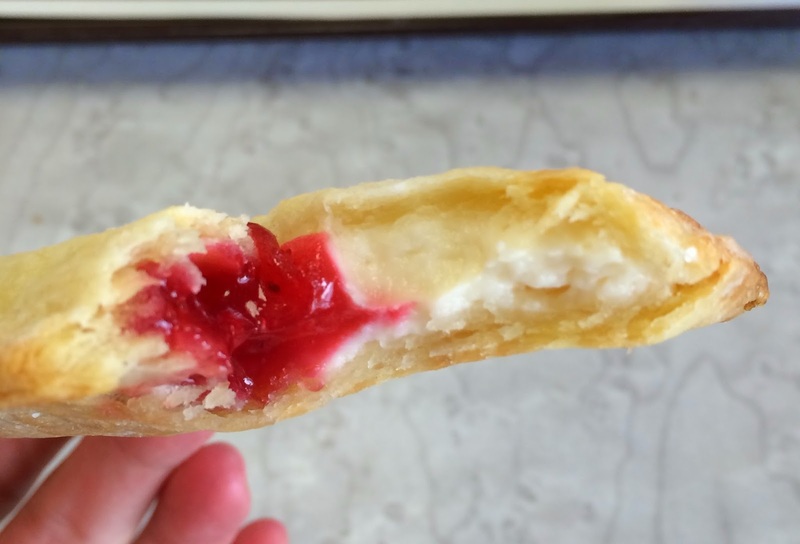 Strawberry filling was like a starchy jam and cream cheese filling was lighter than regular cream cheese but still had the sticky and rich texture. Also it had some sourness (like lemon) same as the real cream cheese. 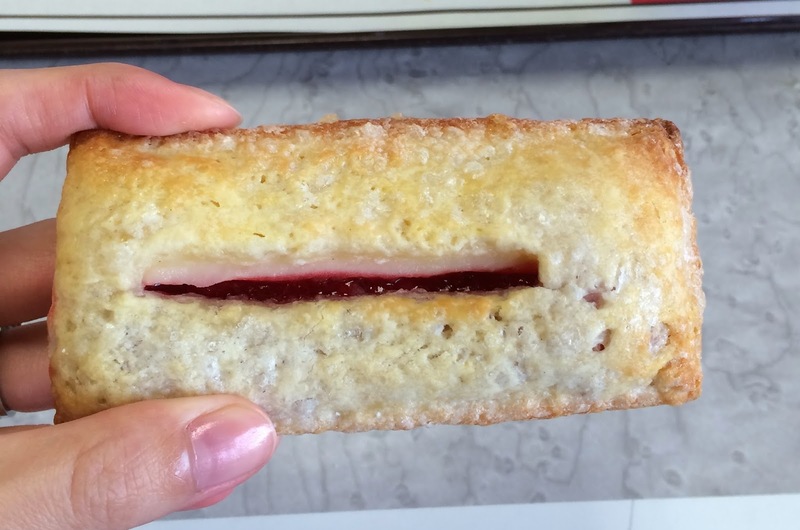 To have both fillings in my mouth, I had to bite twice; one for the strawberry, and another for the cream cheese filling as it's a little bit too wide for me. 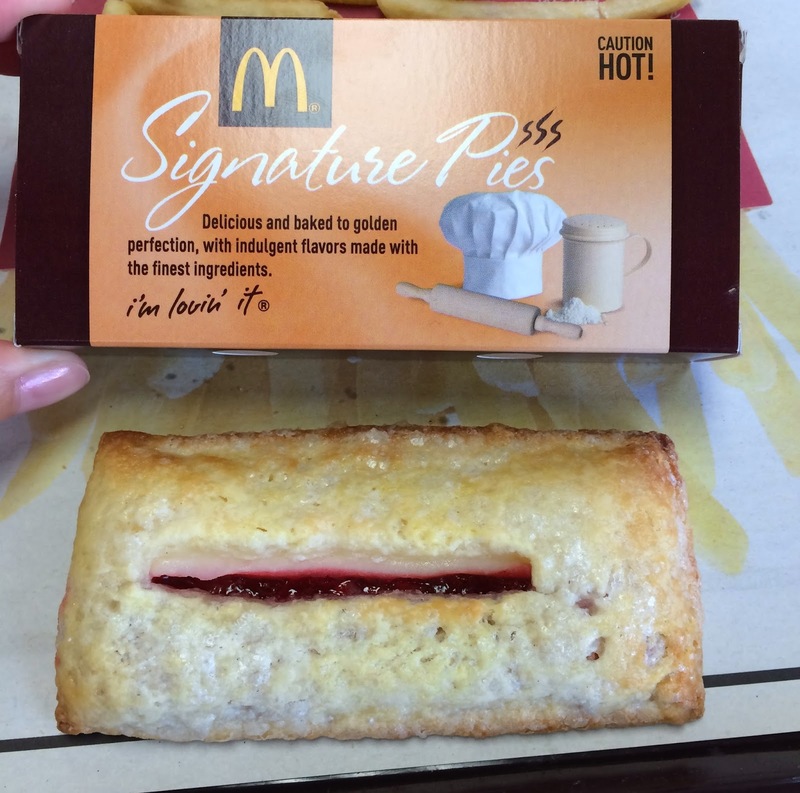 It's very sweet so that one pie was enough, but it's one of my favorite snacks so far at McDonald's. I'll miss this when it's gone.